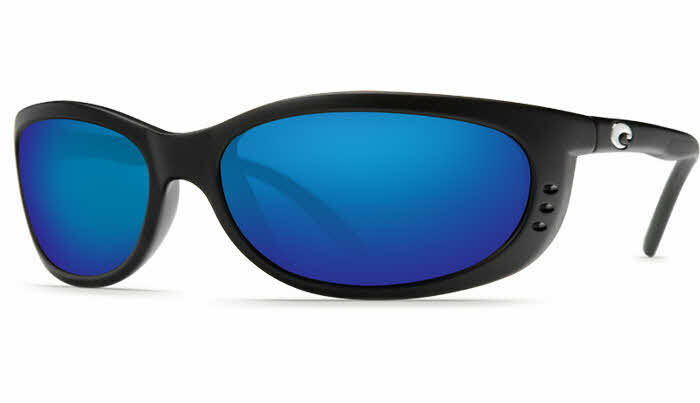 Costa Del Mar Fathom polarized lenses and snug fitting-design give you comfort and style on the water. Cold-injected nylon and Hydrolite frames grip the skin more as you sweat. Costa Del Mar Fathom frames are all hand-assemble. Lens color options include: gray, amber, copper, blue mirror, green mirror silver mirror. Lens materials include 400P (CR-39 and Polycarbonate), 580G (Lightwave Glass), and 580P (Trivex polycarbonate). 580P features anti-reflective coating on the backside and an oleophobic, hydrophobic coating on the front (sheds water and oil). An excellent product from a great company. Recommend these sunglasses to anyone looking for a great pair of glasses. I've got four pairs of Fathom glasses and use them every day. I do a lot of fishing and they really help to see the fish and to protect eyes from the sun. I was in my truck with my wife awhile back and all of a sudden I could see a line in my vision. Took them off and saw a horizontal crack going from right to left. They've never been dropped as I always have a strap. I don't have a clue why they cracked. I sent them to Costa and told them what had occurred. Well, $70 later I got them back. WTH?? I wonder what exactly their warranty covers on the lenses???? Seems to me that they cover nothing! I am livid. I gave the product 5 stars but 0 stars for their ???warranty. The best fishing glasses ever. Fit perfect and are ideal for wearing all day in sunny conditions. I have owned several polarised glasses but these are far the best I have found for removing the glare over the water and been able to look down into the waters depth locating the fish around the rocks. Definitely recommend them. I bought these for my husband, who wears them every day. My first purchase of Costa sunglasses for him was seven years ago and he still wears them and just now needed another pair so he could send the first pair in for minor servicing. He loves the way they fit and the lightness of the frames. He is a Costa man for life.